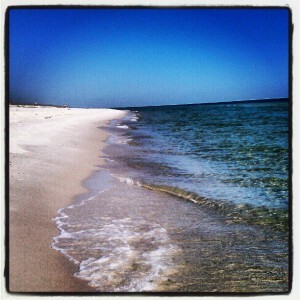 The Gulf State Park Beach was recently named Best Beach in Alabama according to a poll done by USA Today. Locals were asked to rate their favorite beaches to catch rays and they chose well. With its amazing views, sun soaked beaches, and beyond blue waters, it is no wonder that the park made the cut. In addition to top rated beaches, there are an abundance of great dining, shopping, and family friendly attractions in the Gulf Shores area, that there will never be a moment of boredom. Located in the City of Gulf Shores on the coast of Alabama, the 6,150 acres of the park features everything one would need to have an amazing time. You can camp at one of the many camp sites located within the park. The grounds feature pads for RVs or sites for tents with every site featuring water, sewer, and electricity. If you are looking for something a little more luxurious, then don’t sweat it. The park also features modern cottages and cabins. The grounds also contain eleven modern bath houses. You can choose from pull through sites, back in sites, or waterfront sites. Even though the campgrounds are located only 1 ½ miles from the sandy white beaches, if you are looking for something a little closer, you can go and enjoy a wet and wild day at the park’s massive pool and splash pad. There is also a boat ramp throughout the park for the 900 acre lake that is great for fishing, swimming, water skiing, and much more. There are many other features such as a tennis court, an 18 hole golf course, and beautiful hiking trails. If I had to pick one positive thing that came out of the BP oil spill disaster, it would be the fact that the rest of the world was exposed to our beautiful beaches. I can still picture the aerial views above the Jimmy Buffet concert in the sand and how amazing the water looked and the incredible shots of the sun setting in between our condo towers. I knew at that moment, that our beaches and our community would come back stronger than ever! From nationally recognized powder white sandy beaches of the Gulf State Park, world class deep sea fishing, breathtaking sunsets over the Gulf of Mexico, there is never a dull moment on the Alabama Gulf Coast.